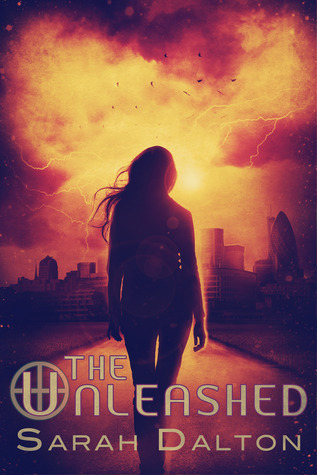 Today is the day that the cover for The Unleashed is finally revealed, and I think you'll agree just how gorgeous it is! Check back for the official release date in a few weeks! Giveaway ends July 30, 2013. The Vanished is on Tour! Today's blog is 'A Bibliophile's Thoughts'. Check out what Christina thought of the book here. The Fractured: Maggie is available! The Maggie novella is now available to buy on Amazon so don't miss out! Well, the second book in The Fractured novellas is almost finished. I just have a bit of post-editing polish to add to it and then it will be ready on Wednesday 1st May. Write that date down - put it in your diaries! I'm sure you can't wait to find out why Mrs Murgatroyd turned into Murder-Troll, the scariest teacher in the history of teachers. Soon you'll know! For an exclusive extract head over to my blog for a read, or add it to your Goodreads TBR list! The first installment of the Fractured series will be FREE for 2 days on Amazon Kindle. Download your free copy here and don't forget to spread the word. I'm always happy to receive feedback so why not leave a review on Amazon. Would love to hear your thoughts on the book! The Blemished #1 in Children's Science Fiction! The Blemished is currently #1 in the rankings on Amazon for Children's Science Fiction eBooks! Plus, it's still riding high in the teen science fiction category behind Divergent and Mockingjay. 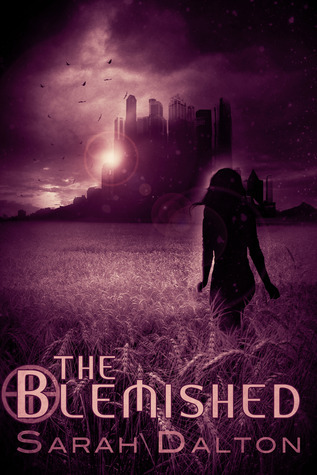 Keep the momentum going by getting a copy of The Blemished while it's just 99c for Kindle! Win a copy of The Vanished! Enter the competition below to be in with a chance to win one SIGNED copy of The Vanished. Giveaway ends February 15, 2013. I'm just tweaking the Amazon listing, checking the Kobo listing and hoping that Smashwords will be sending the book to B&N, Apple and Sony soon. Rest assured that links will go up on the website as soon as I have them. I get the paperback proof soon so when that is checked and correct it will go live. All in all it's very exciting news for fans of The Blemished. Make sure you pick up your copy soon, and as always, I love to hear your thoughts on the book - drop me a line on Twitter @sarahdalton or Facebook - Sarah Dalton Author - or leave a review. Happy reading! Good news to all those frugal Ebook readers out there -- The Blemished is now half price at just $1.99! Click on any of the links on the right to take you through to buy. This is for the Ebook only. Happy reading! With more 5 star reviews than ever, you won't be disappointed! The Blemished Places Second in Best Book Cover Award! A few weeks ago The Blemished was chosen at Novel Scribe as one of the best book covers for science fiction. Lots of you went over and voted and I am proud to announce that The Blemished finished second, just one vote away from the top spot! As a reward Novel Scribe has sent me a lovely badge for the occasion so that I can show it off on my website. Title and Cover reveal for Book 2! 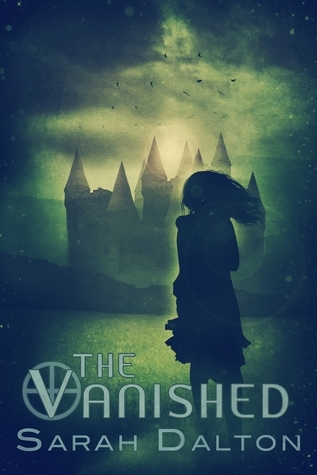 The Vanished is due to be published early next year and I know that will be a bit of an agonising wait for fans of The Blemished but I can assure it's only to make sure that it's even more amazing. You can add The Vanished to your Goodreads list here! In a few months I'll be looking for willing reviewers to take ARC copies of The Vanished so please get in touch if you have a blog and would like an advanced ebook copy of The Vanished. You can contact me at my blog or on Twitter. I can't wait to get The Vanished out to you guys. It's going to be amazing! The Blemished available on Barnes and Noble and iBooks! Good news for fans of The Blemished who own a Nook, the book is now available to buy at Barnes and Noble! Just click here! Never fear iBooks users, you can also buy The Blemished from iBooks. Click here! The Blemished is going on tour and it launches on the 17th September! Sarah has teamed up with Reading Addiction Blog Tours to organise a great tour for The Blemished which includes lots of exclusive interviews, excerpts and even some amazing giveaways! Head over to Reading Addiction Tours tomorrow for the launch and then head over to Literary Gateway for an exclusive review, excerpt and ebook giveaway! The Blemished is Available to BUY! Well guys, the time is finally here, the printers are ready, the book is uploaded and it is now available to BUY! Sarah talks about her favourite characters in The Blemished. The Blemished gets an awesome five stars in this review from Always YA at heart. Sarah talks about the themes and inspiration behind The Blemished. Sarah reveals more about The Blemished in this exclusive interview with Stephen Herfst. © Copyright 2012 Sarah Dalton. All rights reserved.